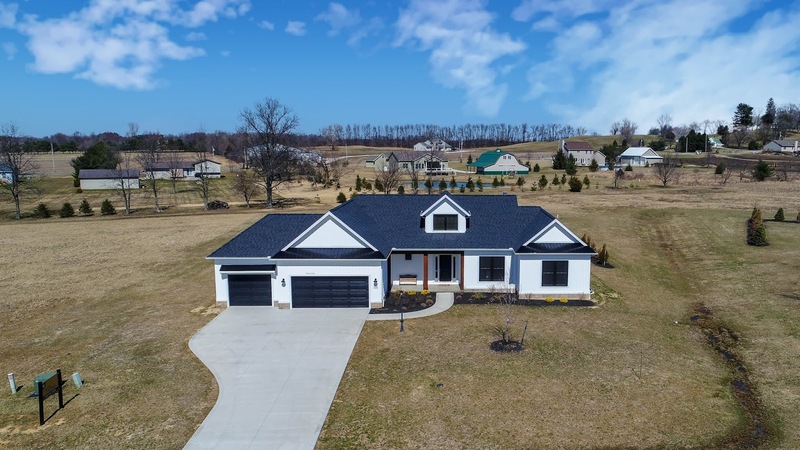 Brand new custom built rambling Ranch home on over 1 acre “rural setting” just minutes north of New Albany and close to everything. 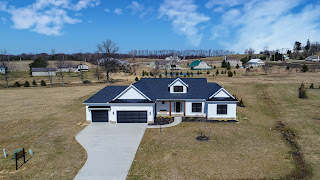 Modern Farm House design with over 2,600 SF of open living spaces. Great Room has a rustic, beamed tray ceiling. Dining Room walks out to covered rear patio. “Must See” Kitchen with wrap around white cabinets, extended island & stainless steel Viking appliances. Owner’s Suite has walk-in closet & private shower Bath. First Floor Office/Fourth Bedroom. Additional Bedrooms have walk-in closets & ensuites. Full Basement (ready to finish) with Bath rough-in & egress window. Community pond, 2 gazebos and pastoral views. Attention to every detail! 3 BRs & 2.5 Baths. Over 2,600 SF! Big Walnut Schools. Only $598,000! Call DeLena today!